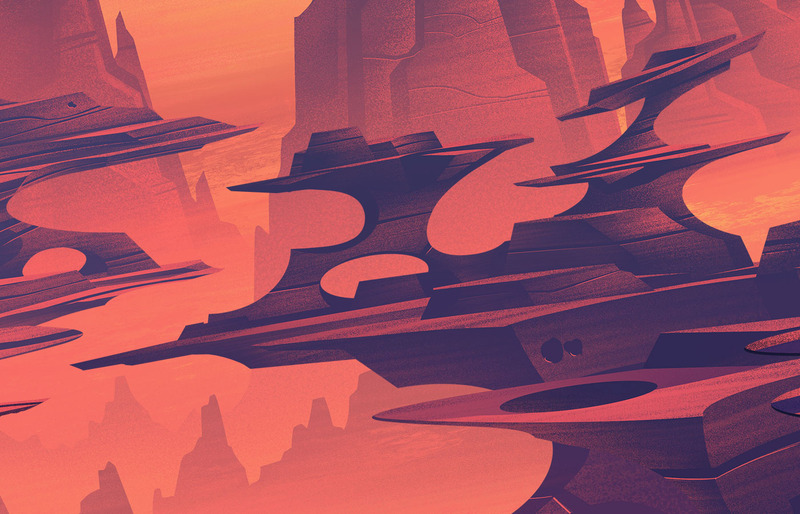 We love the work of Brian Miller on ABDZ. He is an illustrator based in Erie, Colorado, USA; living in a beautiful landscape as a background like Colorado. 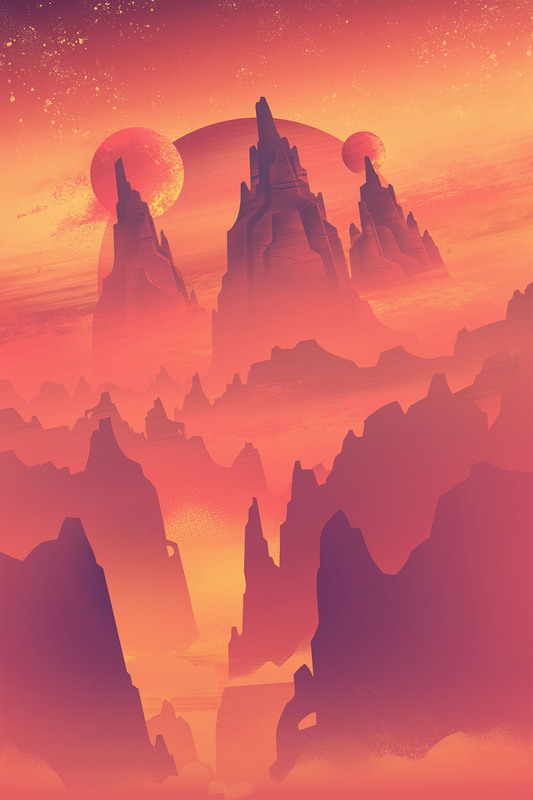 It must have been really inspiring! 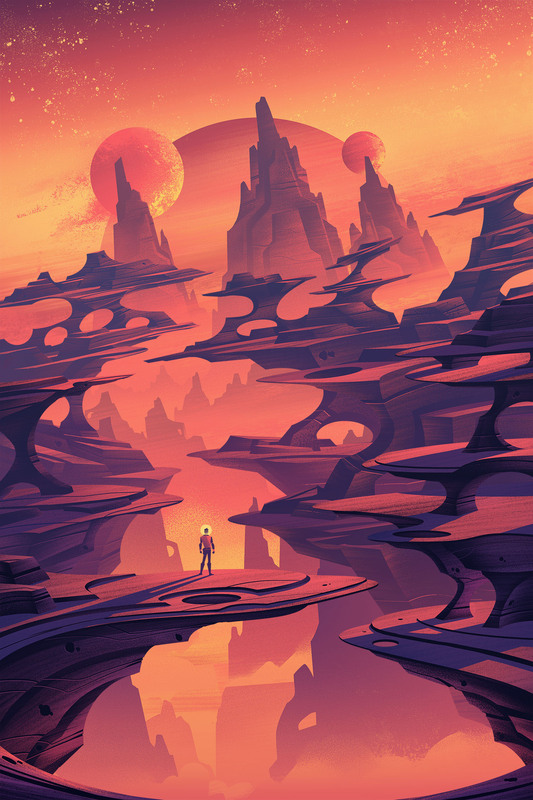 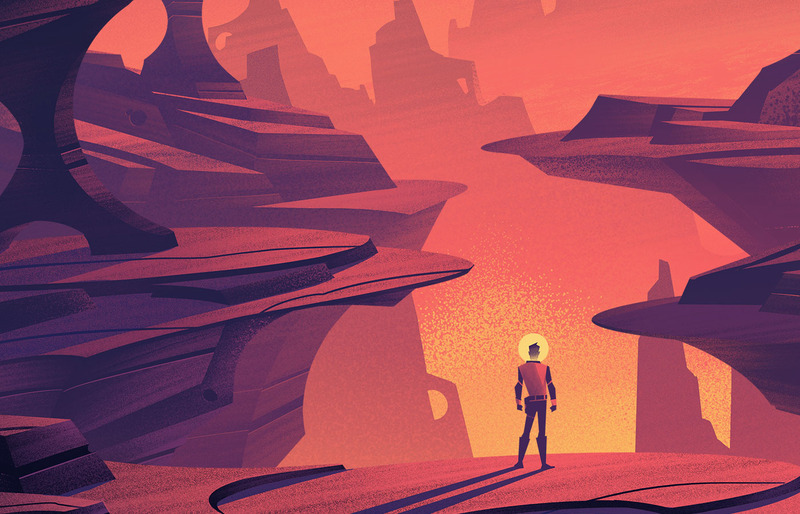 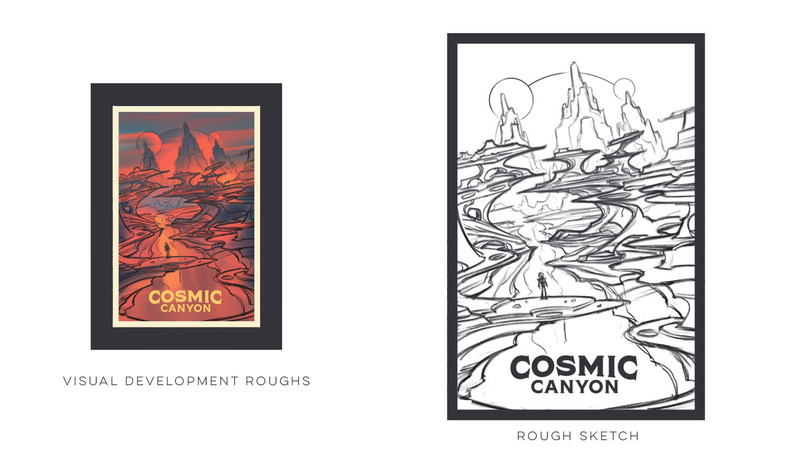 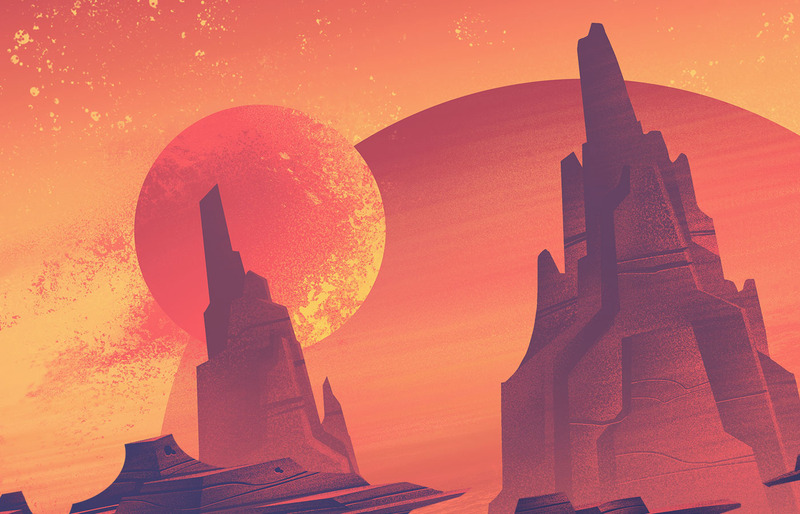 We are taking a look at his piece entitled: Space Park: Cosmic Canyon and it's always a pleasure to take a look at his process and some close-up shots.